Yes … your baby has a language! Your baby’s language is composed of coos, cries, and body gestures universal to all babies, no matter where you are in the world. This means that your baby can “talk” to you in a language you can learn and understand. When your baby is happy you may hear coos and babble, particularly if you initiate the “conversation” and engage your baby. Your happy, awake, newborn is capable of being engaged and paying attention. You should try it! Crying is the sound your baby makes when something is wrong. Since your baby cannot right the wrong alone, your baby is “asking you” for help. Not only that, but your baby makes different crying sounds in response to the different things that could be wrong. The pain cry, familiar to all of us because it sounds the same no matter the age, sounds different than the hunger cry, or the discomfort cry. You will easily learn to recognize the differences as you pay attention to your baby. The gift of repetition will enhance your learning too! Your baby also has a set of body gestures, or cues, that help you understand what your baby wants and needs. These cues usually precede crying. Learning to recognize your baby’s body language cues will help you offer food, comfort, a dry diaper, or soothing care for sleep without the need for your baby to cry. Frequent holding, wearing your baby, staring at your little miracle of life, and paying attention to your newborn’s behavior will help you learn everything you need. Rooting tells you your baby is hungry … and can happen any time! Learning your baby’s language is not as difficult as it sounds. Your baby is a good teacher. And, as mentioned above, the gift of repetition is very helpful. It’s so rewarding when you figure it out … and I have no doubt that you will! Here’s a little insight into the simple design of your baby. Unlike adults who push themselves to stay awake to get things done, your baby will happily go to sleep when sleepy. 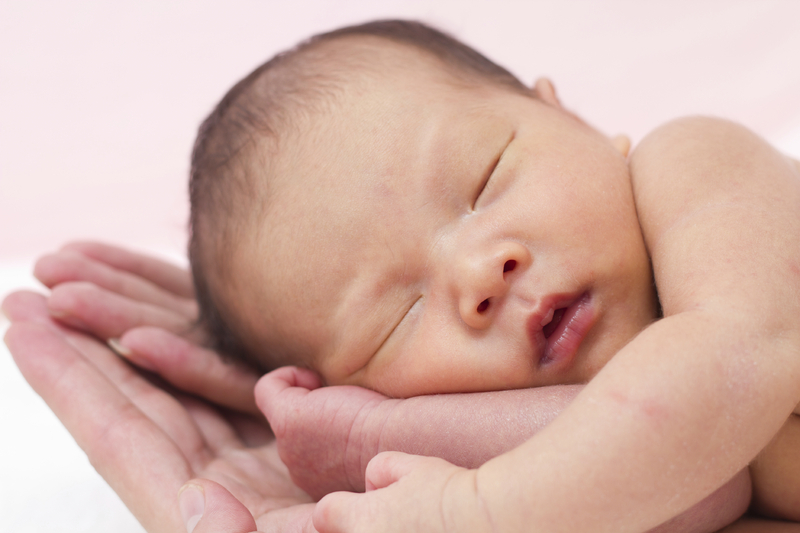 Your baby is most successful at falling asleep when warm, dry, fed, burped, and held. About 20 minutes after falling asleep your baby should be in deep sleep. Deep sleep allows you to transfer your baby to another sleeping place if necessary, without fear of waking your baby. It’s a perfect design. Like adults your baby will eat in response to hunger. Unlike adults your baby will not eat (or overeat) because of stress, boredom, or a clever commercial. Babies eat because they are hungry, and they stop when they are full. It’s that simple. Having a baby that cries occasionally is expected, but did you know that your baby isn’t just crying at random? Something will cause your baby to cry, such as pain, hunger, or discomfort of some kind. Pain, hunger, and discomfort are problems your baby cannot solve alone. Your baby is “asking” you, in the baby language of crying, to help solve the problem. Keeping your baby’s simple design in mind provides benefits for both of you, present and future. Honoring your baby’s design is a measure of respect. The language of babies is not just about crying. Babies enter the world with a purity of being that radiates unconditional love and simple joy. Babies spontaneously demonstrate this inner happiness the same basic way all human beings do, by smiling. Baby smiles are precious gifts. May you be blessed with many of them. Perhaps you’ve heard someone say, “That’s just gas,” in response to your newborn smiling. If you think about it, this comment seems contradictory. Gas usually produces pain, not smiles. A smile is a smile is a smile. Why would you want to believe anything else?